We would like to take a minute to highlight the efforts of a local organization, the Knitting Club. This group was started about 15 years ago by Linda Johnson, a local resident. The inspiration came while she was cutting hair at the Jubilee Center in Rockford. The main issue during the winter time for those in need of shelter was frostbite. 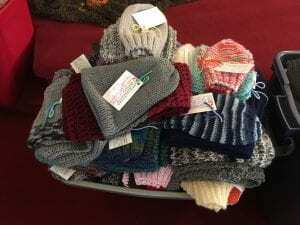 Linda decided to the take the initiative and make a difference by knitting items for the homeless. Linda received donations and eventually more volunteers to assist with her efforts. Now, 15 years later, the knitting group produced nearly 900 items for donation this year! 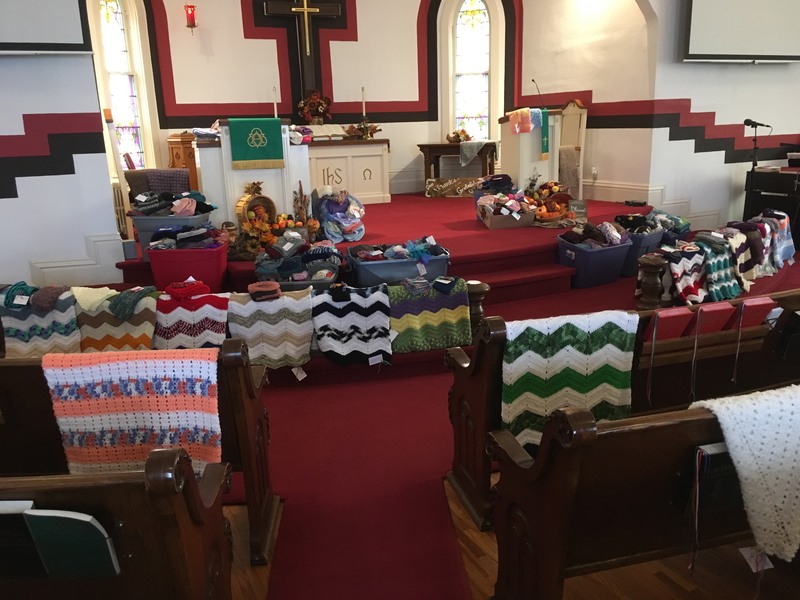 The knitting group’s success is driven by community efforts from multiple congregations and individuals. 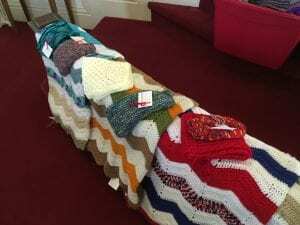 Their knitted goods have been donated to 14 different organizations within the Kirkland, Belvidere, Rockford, Sycamore and DeKalb area. Specifically to Kirkland, their goods have been donated to the Kirkland Food Pantry/Clothes Closet and Kirkland Fire Department. 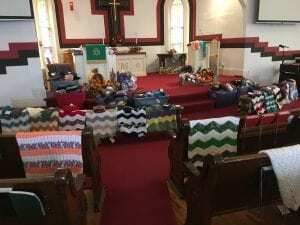 In addition, prayer shawls and lap robes have been donated to numerous nursing homes and hats, scarves and mittens have been donated to organizations such as Hope Haven, Safe Passage and the Salvation Army. The Knitting Club meets on the 2nd and 4th Tuesday at various homes. They begin knitting around 1:00 P.M. and work for a couple hours at each session. They are always open and willing to accept new volunteers, so if you are interested please reach out to Connie Hood, Donna Koehnke or Helen Davis. Great work to ALL the volunteers within the Knitting Club and thanks for the excellent service you provide to so many in need! !